Hey! My name is Alexa Harris and I created this blog to prove to myself and the world that it is POSSIBLE to stay up to date on beauty trends without spending hundreds of dollars. My goal is to locate cheap beauty products that keep you on budget but still looking glam. I will give honest reviews on the products that I find and an overall rating out of 10 based on quality and cost. I'm just here to try and make the world a better place! Enjoy! Here is a list of the top 10 places to find beauty products that fit in your budget! 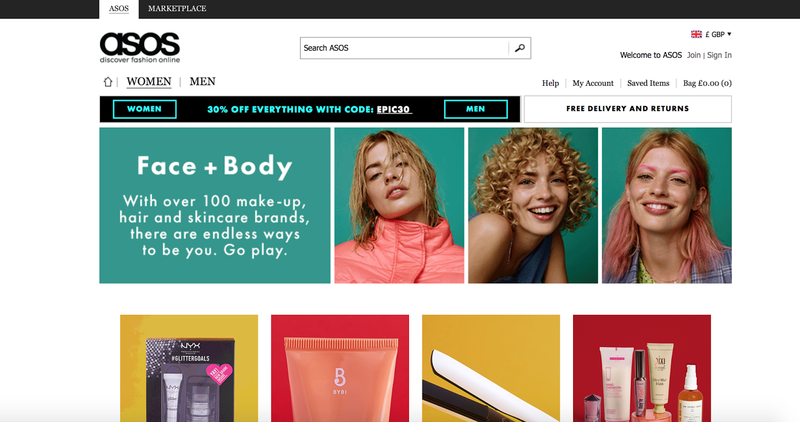 1.ASOS- Not only do they have super cute clothes for a good price, they ALSO have beauty products! They carry everything from basic drugstore quality to quality tanning products and styling tools. Go check it out now!! 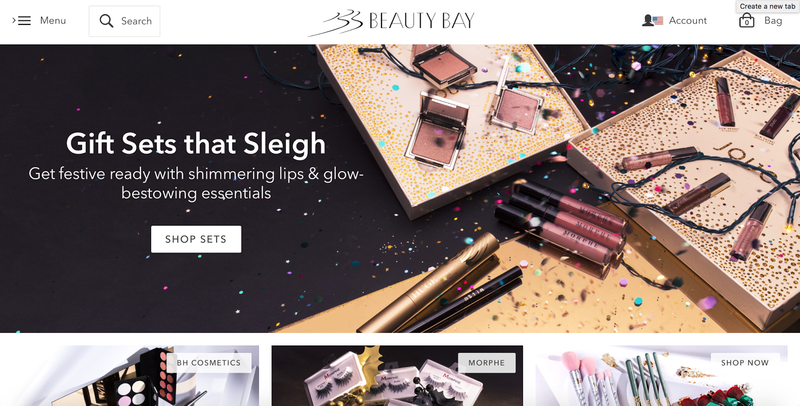 2.BH Cosmetics -Never heard of it? Neither had I until recently. If you don't care as much about brand name beauty products then DEFS check this website out! Makeup brush set for less than $20.. YES PLEASE. 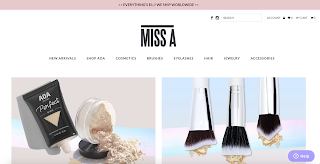 3.Shop Miss A- This site is the answer to your prayers!! Find quality lashes for one dollar ONE DOLLAR. Oh and get this, you can get not only eyelashes but almost everything is ONE FREAKIN DOLLAR. You can't beat the quality and price of this website. 4. Walgreens- I know, I know, this is an obvious one. Walgreens carries all different kinds of beauty brands, from Maybelline to e.l.f. cosmetics. If it's within your budget you can easily spend big bucks at Walgreens, but if you're too poor like me, they have the good quality cheap stuff as well. If you've been reluctant to buy from Walgreens in the past, maybe give it a try next time you need to restock your makeup drawer. 5. Beauty Bay-With the ability to set your filter anywhere between $3 to $69, you are sure to find the product you need at a price you can afford. 6. Dupe Up- Use this website to find cheap alternatives to brand name products. Want the Kylie Jenner Lip Kit but can't afford it? Well then look on Dupe Up for a cheap doppelgänger. 7. ColourPop-ColourPop has good reviews and the makeup looks pretty legit. Maybe I'll order something from them next week and review it, just to make sure! 8. Target-Yeah, this ones obvious too, but if you're on your weekly target run, take a gander in their beauty department. They have beauty boxes for only $7, bet you didn't know that! They also carry brands like Skinfix and MISSHA who have some amazing products! 9.Wish- Wish is a popular one on this blog. Mostly because I hadn't heard of most of these websites when I first started the blog. This being said, Wish has come through for me a few times with their beauty products. If you're willing to wait a while for delivery, then Wish is a good place to go. 10. Amazon- Amazon pretty much has everything, so it's obvious that they have cheap beauty products. Basically any of those little videos that pop up on Facebook showing someone using some magical pore strip or eyebrow tint, you can find any of those products on Amazon. Amazon is the best. Simple as that. Not going to lie I had really high hopes for this product. I watched so many videos of people using it and watching all of the gunk get sucked out of their pores was so dang satisfying. I decided to use it on my husband because he has so many deep black pores in his nose I thought that without a doubt it would pull something out of his nose. The product arrived looking exactly how I thought it would, like a cheap piece of plastic. It came with no batteries, which I was not at all expecting and that was my first red flag. Once I tore my closet apart and found a battery, I tried turning it on and it would only stay on if I held the switch down which made it nearly impossible to use. Silicone Beauty Blender SAY WHAAA?! This week I tired out the silicone beauty blender that I ordered for like one dollar on wish. Side Note: It has been a crazy couple of weeks and I haven't been able to post at all... but I have a lot of new products I am excited to try out so stay tuned! Anyway, back to the silicone goodness. So I went a little crazy on wish and bought a whole bunch of products that I have seen on Facebook and Youtube that I have always wanted to try. One of those being this wonderfully beautiful water droplet looking foundation applicator that I am going to call a silicone beauty blender so that I sound professional as heck. Hey guys! My name is Alexa Harris and I was born and raised in Calgary, Canada. I attend Utah Valley University where I am pursuing a degree in Public Relations. On April 28th, 2017 I married the most perfect man in the Payson, Utah LDS Temple. I have always had a passion for makeup and fashion and I never had a problem spending hundred of dollars on expensive brands. That all changed when I got married and was given a budget by my loving husband. I have created this blog to prove to myself and the world that it is possible to find cheap beauty products that perform with the same quality as the high-end brands. Every week, I will post honest reviews on cheap beauty products that I find at various places and then I will give them an overall rating out of 10 on cheapness and quality. I will have something new every week and I am absolutely open to suggestions! I am so excited to share my Budget Beauty adventure with the internet world and for all I am going to learn along the way!